This is my first year being supported by the DRF. I can't wait to get stuck in to racing. 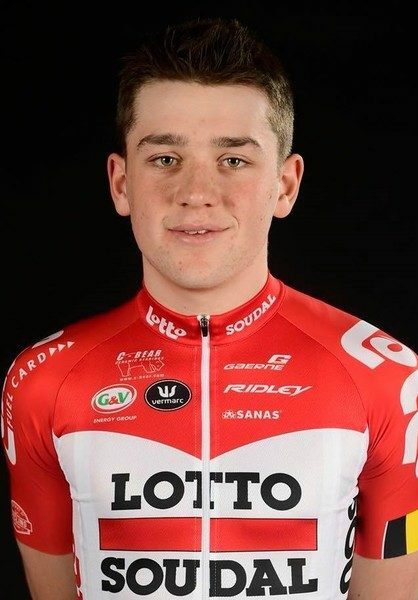 I'm riding for the Lotto Soudal U23 Development Team. Lotto Soudal U23 is the feeder team/ development team for Lotto Soudal, the world tour team. It has a brilliant calendar and they look after us really well. It is a mainly Belgian team but has a good history with British riders such as James Shaw and Dan McLay. My race programme is really full. I will be trying all types of racing on different terrain and in different fields, from U23 to elite. I hope to be selected to race lots of UCI races with the team. However, when I’m not riding with the team I will be riding kermesses and pro kermesses in Belgium on my own. I will be riding a Ridley Fenix SL with Campagnolo Record EPS and Campagnolo Bora wheels. The kit is supplied by Vermanc, helmets are HJC, the shoes are Gaerne and sunglasses are from Rudy Project.